Traditional cold roof constructions are giving way to their opposite - the warm roof. 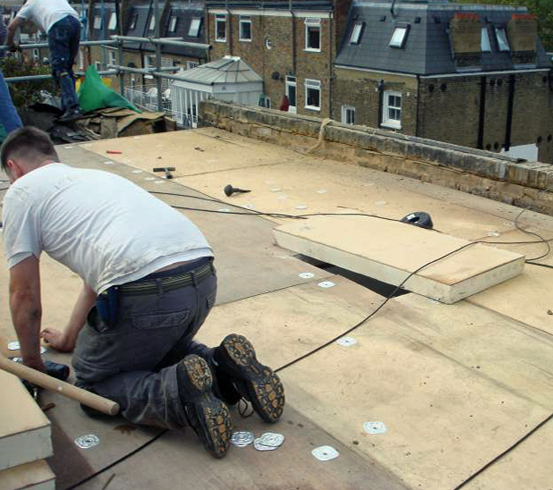 This method of construction delivers a host of extra benefits and is now commonly believed to be the single best roofing option for the changeable climate of the UK. Twistfix offer a range of warm roofing materials and accessories, including high quality insulation fasteners and water­pro­ofing membranes, designed to make the installation process simple, safe and extremely cost-effective. There are some factors that must be considered when creating a warm pitched roof as opposed to cold roof construction. 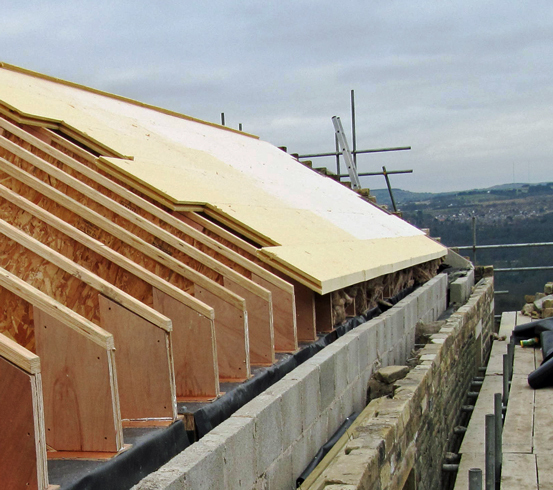 One of these is that the structural load on a sloped warm roof is supported by counter battens laid on top of insulation, which is a non-structural element (with a cold roof, the weight takes support directly from the rafter). These counter battens must become a structural element to which tile battens can be fixed. As time has gone on, the thickness of insulation has increased along with the bending and sliding loads that must be supported by the counter batten. 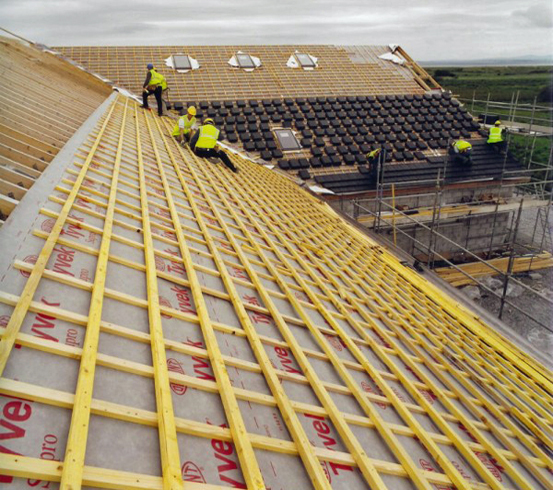 Roof pitch, insulation depth and laid roof weight, including capacity for snow loads, all affect sliding and bending forces, which increase as the roof steepens up to 45 degrees. Another major factor in the design of warm roofing, whether pitched or flat, is the consi­dera­tion of protecting all components fitted above rafter level from wind suction loads. These loads vary and are determined by maximum local wind speeds, building height, site exposure and local geography. All of our warm roofing products are currently available with attractive price discounts of up to 23%, further increasing their exceptional value for money. Look out for our next article coming soon which focuses on the advantages of using high-quality Twistfix warm roof nails and batten fixings to complete warm roof constructions to an impeccably-professional standard.